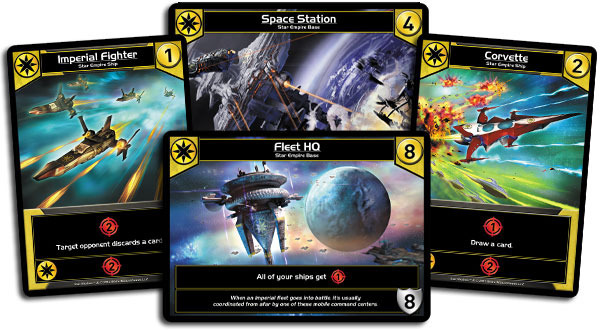 Each of the cards in the Trade Deck is a Ship or a Base belonging to one of four factions: The Trade Federation, The Blobs, The Star Empire or The Machine Cult. 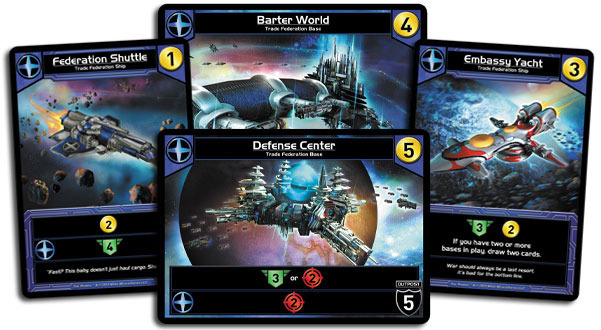 ?In Star Realms, the Trade Federation specializes in generating large amounts of Trade and in gaining Authority (increasing your score). These mysterious creatures are the first alien life forms encountered by the human race. 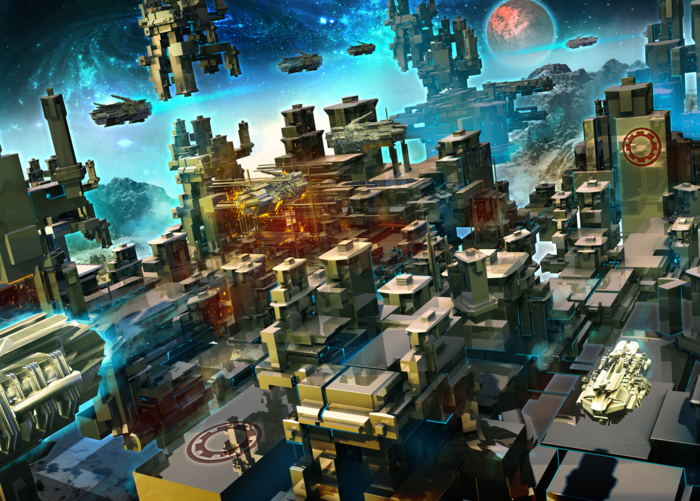 Most of the initial encounters consisted of human colonies being completely obliterated. On the few occasions that a Blob ship has been recovered somewhat intact, the only biological remains found inside have consisted of a gelatinous mass, thus leading to the moniker, “The Blobs”. While for several years all encounters between humanity and the Blobs have been extremely violent, there is currently some limited trade between various Blob factions and some of the more daring human traders. 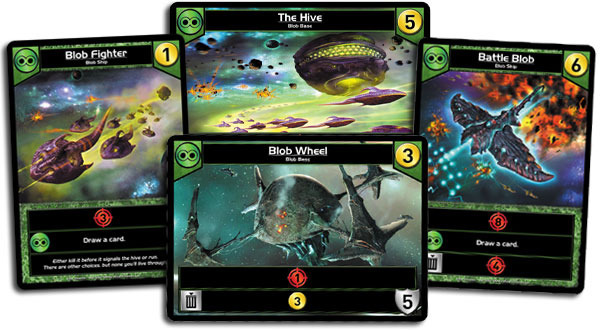 ?The Blobs are best at generating massive amounts of Combat and at removing undesirable cards from the Trade Row. 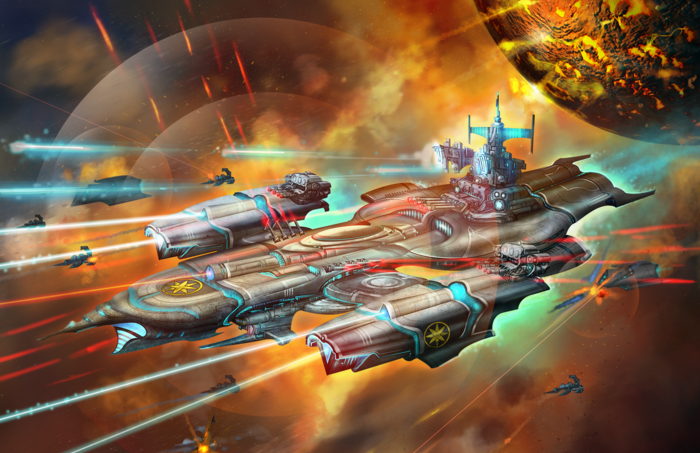 The Star Empire is a combat oriented faction that draws lots of cards and makes the opponent discard cards. ?A cluster of industrial mining worlds were completely cut off from the Trade Federation by the Blobs. 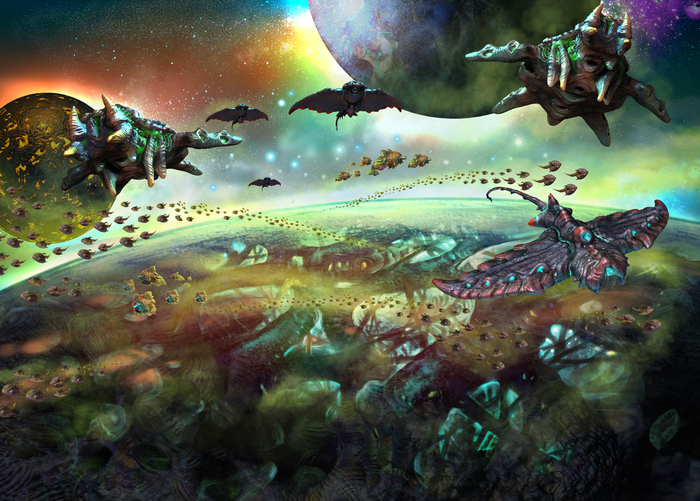 With the threat of annihilation by the Blobs always looming and no contact with the rest of human space, these worlds were forced to take drastic measures. 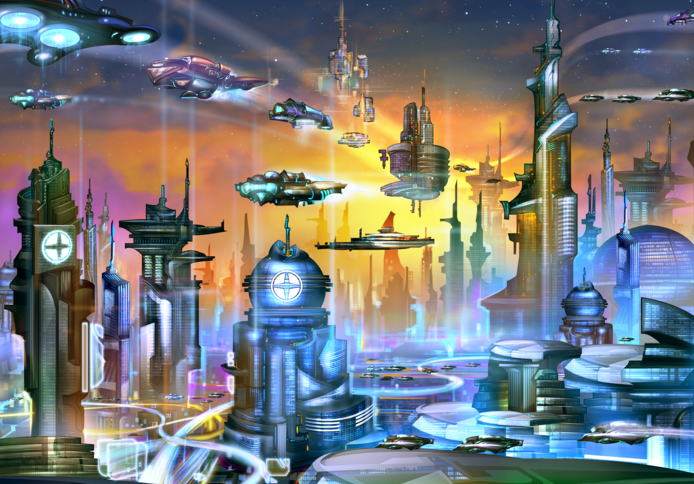 Soon a cult of technology arose, focused on using advanced technology, robotics and computerization to create strong defenses and a powerful military that belied their relatively small population. Since their leaders believed their salvation lay in technology, technology soon became their god and their religion. 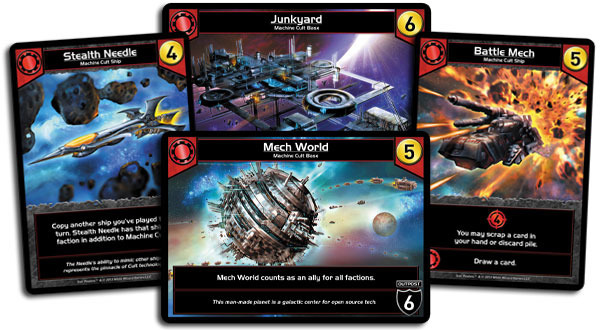 ?The Machine Cult gains most of its power from being able to remove undesirable cards from your deck and from having a large number of Bases designed to defend your Authority from attack.